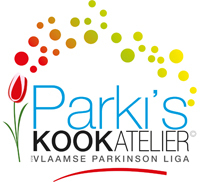 This recipe is from a cookbook developed by Parki’ s Kookatelier, a Belgian project focusing on specialised nutrition for people with Parkinson’s disease. The authors are Yves Meersman and Randy Mellaerts. 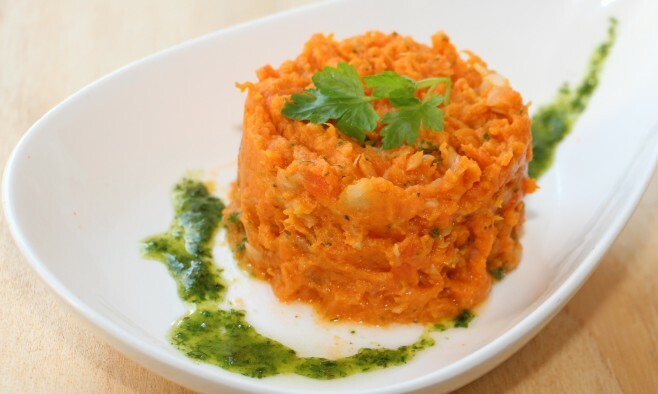 Combining sweet potatoes with carrot and fennel, this tasty and nutritious recipe makes a great light meal, or can be enjoyed as an accompaniment to chicken or white fish. It’s also easy to turn the mash into a smooth purée for those with swallowing difficulties. Peel the sweet potatoes and cut them into big parts. Cut out the heart of the fennel and remove the fennel fronds (put these aside for later as they can be used as a garnish). Chop the fennel, carrots and onions into very small cubes. Tip: Make sure these cubes are very small because they will be stewed separately and added to the mash at the end. This helps each ingredient retain as much of its natural flavour as possible! 1. Boil the sweet potatoes in slightly salted water. Cook them until you easily can poke through them with a fork. Drain the water and allow the sweet potatoes to transpire for a few minutes. Collect the sweet potato cooking water and set aside. 2. Mash the sweet potatoes and add the olive oil. Continue this until you have an even puree. Add the milk and stir until you end up with a smooth sweet potato mash. If you want to avoid dairy, replace it with the sweet potato cooking water. 4. Braise the onion, carrot and fennel cubes in olive oil on a medium heat. Soften with the sweet potato cooking water. Add them to the mash. Stir and put on a low heat for a few minutes until warmed through. Try the recipe for yourself and share your photos on Twitter. Know some great recipes for Parkinson’s Life readers? Email us!